How would you determine the standard electrode potential of the systemMg2+| Mg? The standard electrode potential of Mg2+| Mg can be measured with respect to the standard hydrogen electrode, represented by Pt(s), H2(g)(1 atm) | H+(aq)(1 M). A cell, consisting of Mg | MgSO4(aq 1 M) as the anode and the standard hydrogen electrode as the cathode, is set up. Then, the emf of the cell is measured and this measured emf is the standard electrode potential of the magnesium electrode. Here, for the standard hydrogen electrode is zero. Zinc is more reactive than copper. Therefore, zinc can displace copper from its salt solution. If copper sulphate solution is stored in a zinc pot, then zinc will displace copper from the copper sulphate solution. Hence, copper sulphate solution cannot be stored in a zinc pot. Consult the table of standard electrode potentials and suggest three substances that can oxidise ferrous ions under suitable conditions. has = 0.236 V at 298 K.
Why does the conductivity of a solution decrease with dilution? Suggest a way to determine the value of water. 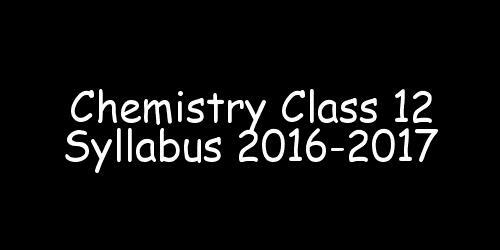 Calculate the ΔrGÃŽÂ¸ and equilibrium constant of the reactions. (iv) Pt(s) | Br2(l) | Br-(0.010 M) || H+(0.030 M) | H2(g) (1 bar) | Pt(s). Determine and for the reaction. The conductivity of 0.20 M solution of KCl at 298 K is 0.0248 Scm-1. Calculate its molar conductivity. The resistance of a conductivity cell containing 0.001M KCl solution at 298 K is 1500 ÃŽÂ©. What is the cell constant if conductivity of 0.001M KCl solution at 298 K is 0.146 x 10-3 S cm-1. Calculate for all concentrations and draw a plot between and c ½. Find the value of . Conductivity of 0.00241 M acetic acid is 7.896 × 10 - 5 S cm - 1. Calculate its molar conductivity and if for acetic acid is 390.5 S cm2 mol - 1, what is its dissociation constant? (i) 1 mol of Al3+ to Al. (ii) 1 mol of Cu2+ to Cu. (iii) 1 mol of to Mn2+. (ii) An aqueous solution of AgNO3with platinum electrodes. (iii) A dilute solution of H2SO4with platinum electrodes. Chemistry Part-1 - Chemistry : CBSE NCERT Exercise Solutions for Class 12th for Electrochemistry will be available online in PDF book form soon. The solutions are absolutely Free. Soon you will be able to download the solutions.